Update your photo with a fresh new professional headshot today! Are you a business professional, comedian, muscian, artist, dancer, entrepreneur, blogger in the Chicago area? Then today is your day. Everybody wants to present their best selves to the world, what better way to achieve this then through a professional photography session at a reasonable price. Click to Book your professional headshot Today! or call us direct at +1 773-273-9063 and reference this page. 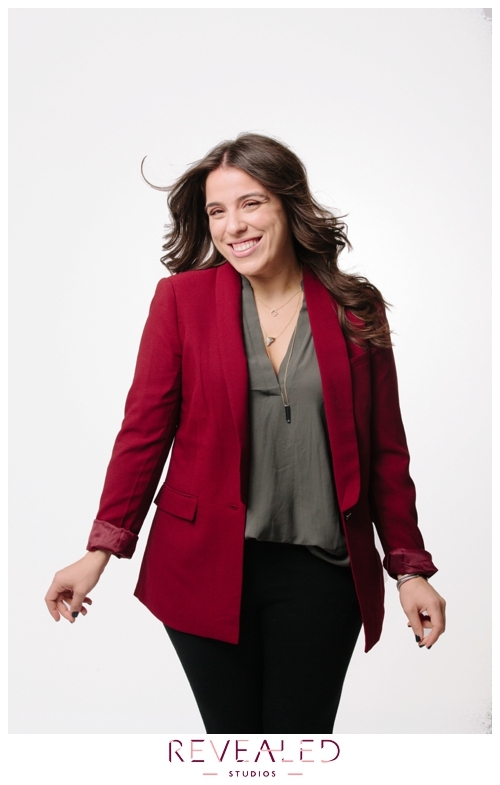 LinkedIn, Facebook, Instagram, Bumble…whatever the reason (we don’t judge), stand out with a new professional headshot today. Local Chicago photography studio in the heart of the city. Call Magie at +1 (773) 273-9063 or email her directly at info@revealed-studios.com and use ‘Professional Headshots in Chicago’ the subject line with your name and number and we’ll get back to you to schedule your session for the 5th of August 2018. You can also use our online form too – don’t wait book your professional headshots today! In our latest feature for our Real Women of Revealed Series, Courtney S. shares how walking away from her marriage was one of the hardest things she’s ever done, but also the healthiest, leading to freedom after a controlling relationship. 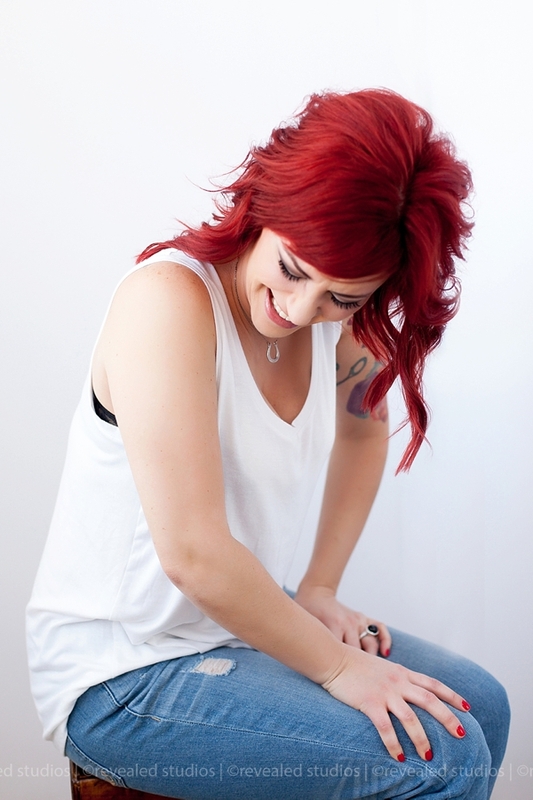 The first thing you notice about Courtney is her vibrant red hair, followed closely by her raspy, unbridled laugh. Spend just ten minutes with her, and you’ll feel like you’re old friends. She is uninhibited, spunky, and the perfect amount of inappropriate. It’s hard to picture, but less than two years ago, this ball of fire felt trapped in an unhealthy relationship, yearning to get out. Back then she was like a faded version of herself, self-conscious of every action, filtering what she said and how she moved for fear of critique from her husband. When I finally stepped outside of it, I realized, this is not me and I’m becoming a part of something that I don’t believe in. At the time, so used to living with her every move questioned, hearing an outsider make note of his controlling behavior struck like an ember to her skin. She did a lot of journaling and focused on letting go of the guilt she carried with her after leaving. My mom said, I never realized how unhappy you were until I saw how happy you are now. We’re so happy to feature Courtney as part of our on-going series, Real Women of Revealed -a collection of photos and stories of inspirational women we feel exemplify beauty beyond appearance. Click here to see more from this series. Starting in February, I’ll be taking a bit of a break from shooting to welcome home (God willing) our newborn son. While off, I’m so grateful to have the lovely Elizabeth Nord filling in on shoots. “I was married to my high school sweetheart in 2009 and since then we’ve moved from Jackson to Nashville to Knoxville, TN, to Gainesville, FL, and finally to Chicago, IL. We’ve been in Chicago for a little over a year now and we’ve fell head over heels in love with this city. We feel right at home here! I have a burning passion for photography, specifically weddings and boudoir. I am so fortunate to follow my dreams as a full time photographer and am loving every minute of it! I am an energetic, dedicated, and creative photographer that looks at every detail to make sure you look your absolute best. I love to laugh and have fun, so when you’re shooting with me you’ll not only leave with a smile on your face, but an amazing experience. I see beauty in every single one of you, and I can’t wait to share that through my work. Meet the most recent addition to the team, Kelly Feldmiller, studio manager extraordinaire. Kelly joined the staff this past summer while Laurie was on maternity leave. 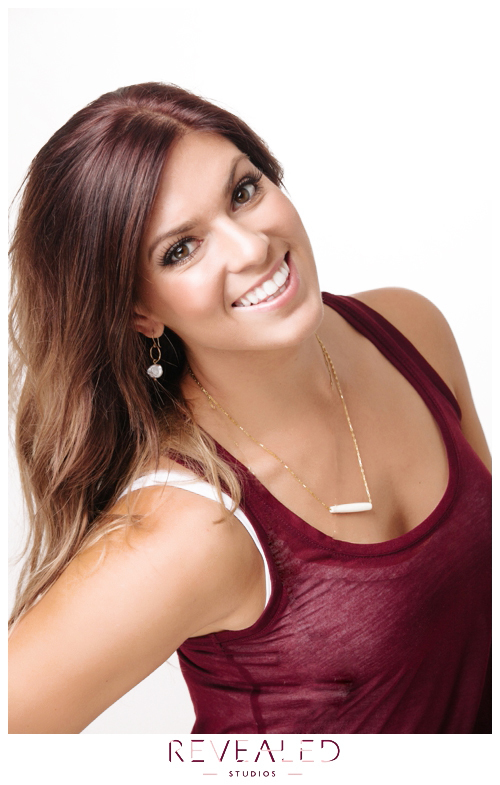 A people person with an irresistibly positive attitude, Kelly fits right in! She’s organized and efficient, keeping things running smoothly behind the scenes. On top of that, with experience working in jewelry and clothing sales, and a background in Theater, she has a keen eye for styling and impeccable taste. Outside of the studio, Kelly can be found walking her adorable dog Hektor in Andersonville, covered in flour after creating delectable pastries, dancing late night at Carols, or devouring a Dave Eggers novel, one of which inspired the tattoo, “YES” on her left wrist. Nothing tickles us more than when clients turn into friends, which is exactly what happened with Zurina Ketola. She came through our doors two year ago when we were still in our early stages. During the “getting ready” process, we learned that Zurina was an incredibly talented jewelry designer. A few weeks after her session, we reached out to her, inviting her to collaborate with us on a stylized photo shoot. The only catch, the start time was 4 am! Zurina jumped at the opportunity, arriving bright eyed and bushy tailed, with a collection of unique, handmade pieces that accented our shooting style perfectly. She’s been our go-to jewelry guru ever since. We have an amazing set of accessories on consignment for studio use, designed specifically with boudoir in mind. We love her work so much, we’re often can’t part from shoots without taking a pair of earrings or new necklace home with us. 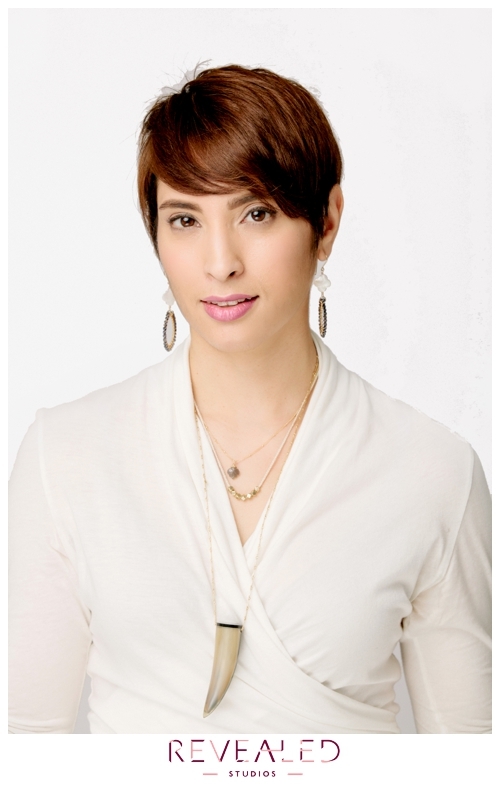 Zurina has been creating chic handcrafted jewelry for over a decade. With a design philosophy rooted in quality and timeless versatility, her inspiration is often drawn from her interest in historical art and cultures, as well as global travel. Her jewelry designs can be found online at www.zurinaketoladesigns.etsy.com, or right here in Chicago at her fabulous new spot in the Andersonville Galleria. In her free time, you can find Zurina working on her tumbling and acrobatics skills training in the circus arts or singing and playing guitar. Before Makeup Artist Anjelica Bannos began working with us, she got her start brightening up the tired morning anchors and weather people at NBC Chicago. Maggie’s husband Anthony was one of the lucky ones she touched up in the morning. He sang her praises for months, dropping hints that she’d be a great addition to the Revealed Studios team. We’re so glad we took his advice! Anjelica has a down-to-earth nature and a knack for knowing just how to bring a client’s look to the next level. A genuine spirit, it’s not uncommon for clients to feel like they’ve known her for years by the time they leave her chair. When she’s not busy doing makeup, she enjoys anything food related (did we mention her family is in the restaurant business? Be sure to visit the Purple Pig! ), catching a live concert, seeing new places and returning to old. A couple of her favorites include sunsets in San Diego and the hustle and bustle of New York City. But nothing compares to the feeling of home in Chicago. She loves traveling near and far and cultivating creative spirit. See more of her work at her Chicago makeup artist website. In our early days as a studio, the stunning lady below, Emily Wolf, was one of our favorite models to work with, helping us to build our initial portfolio. We had such a ball the first time we worked with her (she has the most contagious sense of humor) that we invited her back for a second shoot. Then, upon learning about her exciting career move to makeup artistry, we immediately called her back for a third, only this time to transform a client. She’s an amazing wealth of knowledge, not only in the world of makeup, but also in the field of photo and film production. With a background in acting, she knows how to work both sides of the camera (she recently appeared on Chicago PD). She loves making clients feel like the most beautiful version of themselves. Other interests include fashion, travel, music, food, and exercise, oh, and an obsession with Sons of Anarchy- Jax Teller. MEOW! This lovely lady below is makeup artist Jaycie Kurfess. She’s one of the hardest workers around filling every weekend in the summer with double and triple-header weddings. When the stars align, we’re able to commission her skillful eye. Her love of makeup dates all the way back to childhood when she first fell in love with painting. Experienced in bridal, corporate, and editorial makeup, she’s a multifaceted gem, not to mention an absolute sweetheart. When Jaycie is not working, her favorite thing to do is spend quality time with her husband and close friends. She is guilty of starting awkward conversations with strangers, watching marathons of SVU, eating the last cookie in a box and taking an excessive amount selfies with her dog, Roy.